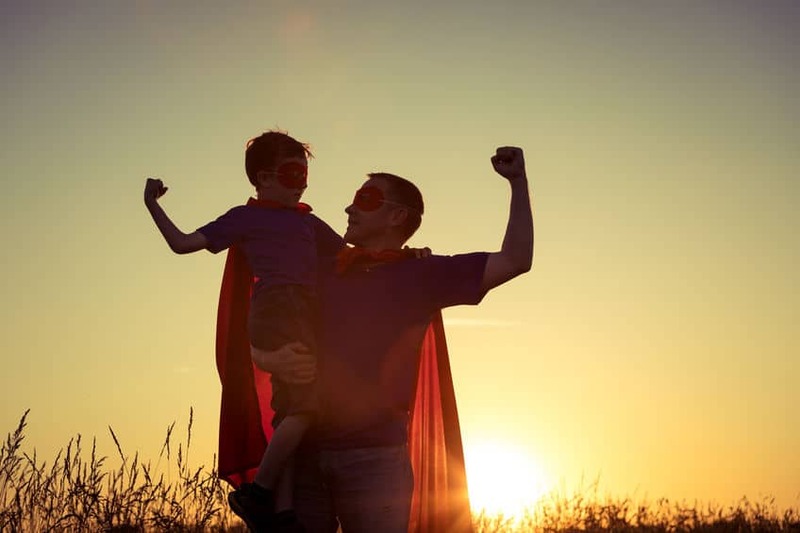 As parents, we hear a lot these days about the importance of helping our children to become “resilient,” which is often described as the ability to “bounce back” from adversity. To understand what this entails, we can look at studies that attempt to differentiate between resilient and non-resilient children. At home, resilient students were more likely to report discussing problems with family members, and being encouraged to face up to difficulties. Non-resilient students tended to adopt a victim mentality, which was often modelled on how other family members reacted to adversity. For example, failures were either excused on blamed on others. Resilient respondents tended to have responsibilities to carry out for the good of the family, whereas non-resilient respondents reported that they had been given responsibilities, but there was little supervision to ensure that they were actually performing their duties. Compared to non-resilient students, more resilient students reported a sense of belonging to people outside the family, such as peer groups and sports clubs. Non-resilient students were more likely to claim they “just couldn’t do” certain school subjects; they were also less likely to take steps to improve their situation. Resilient students held a positive view about the future, with definite plans, whereas non-resilient students viewed the future with more apprehension, and had fewer and humbler ambitions. Why are some people more resilient than others? While personality, genetics, and hormonal differences may play a role, these are not the only factors that determine resilience. For instance, one study suggests that two other factors affect one’s ability to be resilient — mastery and social support. Mastery refers to one’s sense of personal control over life’s circumstances, and in a related study, individuals with higher perceived mastery experienced better health, greater life satisfaction, and fewer depressive symptoms, regardless of their socioeconomic class. The quality of one’s social support network can either contribute to one’s psychiatric disorders or ease it. For example, if one is suffering from personal trauma, receiving unreceptive and critical responses from family, friends, or coworkers could have a negative impact. Positive and encouraging responses, on the other hand, will have the opposite effect. “Parents can play a vital role in helping their children develop the mindset of a champion.” This is the message that Steven Kuan, a family life educator, hopes to bring across to parents. In daily life, your child may encounter stressful situations. This is part and parcel of life, and children do need some stress in their lives, so that they can learn to cope better with unexpected challenges in the future. Instead of trying to cushion the blows for your child, you can change your child’s perspective and help him or her to see setbacks as learning opportunities. This helps your child to develop a “natural immunity” to stress. The lesson for your child is that sometimes, you won’t get what you want in life. The question is, what can you do about it? Invite your child to consider other options with an open mind, such as an opportunity to try something new or different. Empower your child to make his or her own decisions, bearing in mind that your child’s perspective could be vastly different from yours. Kuan cited the example of his own daughter, who had to choose an alternate co-curricular activity because she was unable to gain entry to the activities of her choice. He guided her to handle her disappointment and move on. As they discussed the remaining options, he was of the opinion that the Red Cross would provide an opportunity to learn practical skills such as first aid, but his daughter rejected it as she did not like the white uniform, and was squeamish about performing CPR. He did not interfere with her final decision. If your child is embroiled in a dispute with friends, and is upset about something they said, you can first help your child to deal with his or her emotions. What is making you upset, hurt, or angry? Your friends have said this about you. Do you agree with what they have said? Is there any evidence that it is true? Is it always true, or just sometimes? Is there anything you can do to improve the situation? Is there a more positive way to view this situation? I didn’t like his tone, but there was some truth to his feedback and I’ll use it to improve myself. I can’t control what others think or do, but I can control my own thoughts and actions. I want them to like me, but I will let go of what I can’t control. Though I have made a mistake this time, I can do better in future. Don’t let the condition prevent your child from trying something new. Instead, redefine the goalposts to celebrate small successes for your child. If your child has a physical condition and wishes to participate in a race, success would be the ability to complete the race. If your child has a learning disability, any improvement in his or her marks should be celebrated, even if he or she is still receiving a failing grade. Expose your child to inspirational individuals such as motivational speaker and author Nick Vujicic, who was born without limbs and yet manages to lead a full life, letting his personality shine through.